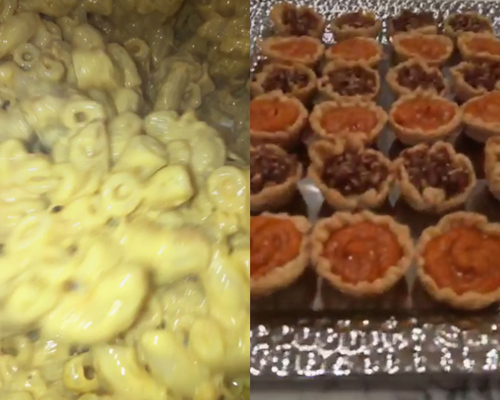 So it’s definitely official, Kylie Jenner’s Friendsgiving meal is totally amazing! The 19-year-old reality star might be young, but man does she know how to throw a party. On Tuesday night, Jenner had her friends over for one epic Friendsgiving feast and everything they made looked so delicious. Luckily, Jenner captioned the whole event on Snapchat so we can live vicariously through the photos while trying not to drool at our desks over all the yummy food. While Jenner was definitely the hostess with the mostest she had her friends help her in the kitchen in order to make sure everything came out correctly and the night went off without a hitch. So what exactly did makeup mogul serve her friends? 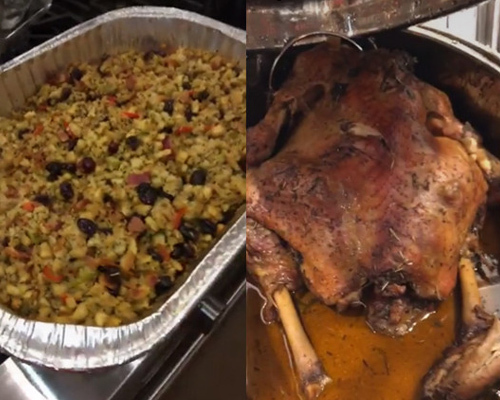 For starters, one tasty-looking turkey. To go with the delicious main course, Jenner had stuffing, which appeared to be large enough to feed a small army. Really, we are drooling over here, it all looks so good. You can’t have just one type of meat for Thanksgiving, so a sweet, pineapple-adorned ham was also on the menu. "How am I going to fit all this in my stomach?" Jenner asked herself on Snapchat. "I don't know, but we'll see." Jenner rocked an Iron Maiden shirt under her red apron as she posed for goofy pics with her BFFs, which of course included Jordyn Woods. Next up, were the candied yams, which had a LOT of marshmallows, which is totally okay with us. Side dishes were in high supply on Tuesday's festive dinner, including brussels sprouts, green bean casserole, mashed potatoes and ooey-gooey macaroni and cheese. The youngest Jenner also baked for the evening. Her sweet treats included a batch of mini pie tarts (see above), and mini leaf-shaped muffins. 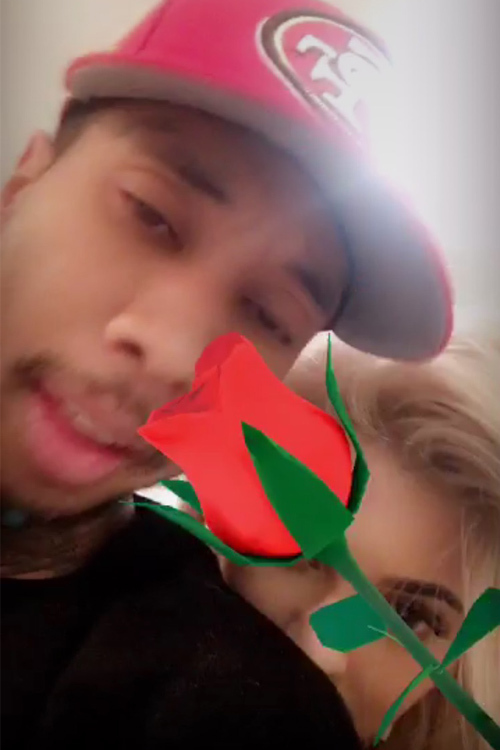 Throughout the night the group posed and laughed together in funny Snapchat videos and Jenner even had a photo session with boyfriend Tyga while using the falling rose filter. While we are all for Snapchat fun with your BF we still can’t get over all the food that Jenner and her besties munched on throughout the night. What exactly do we have to do to make it onto the guest list for next year’s Friendsgiving? We will do anything — well not anything, but we would be willing to do a lot.